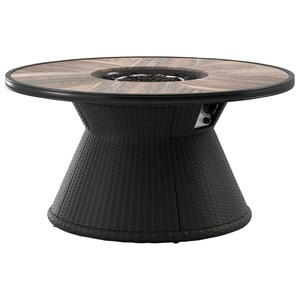 This charming fire pit bar table will bring a whole new level of warmth and sophistication to your outdoor space. The two resin wicker cabinet doors conceal the gas propane tank (not included) and two shelves for convenient storage, and the design of the thick porcelain top adds a nice touch of character. Constructed with a rust-proof aluminum frame, this piece is built to last - in addition to looking good. 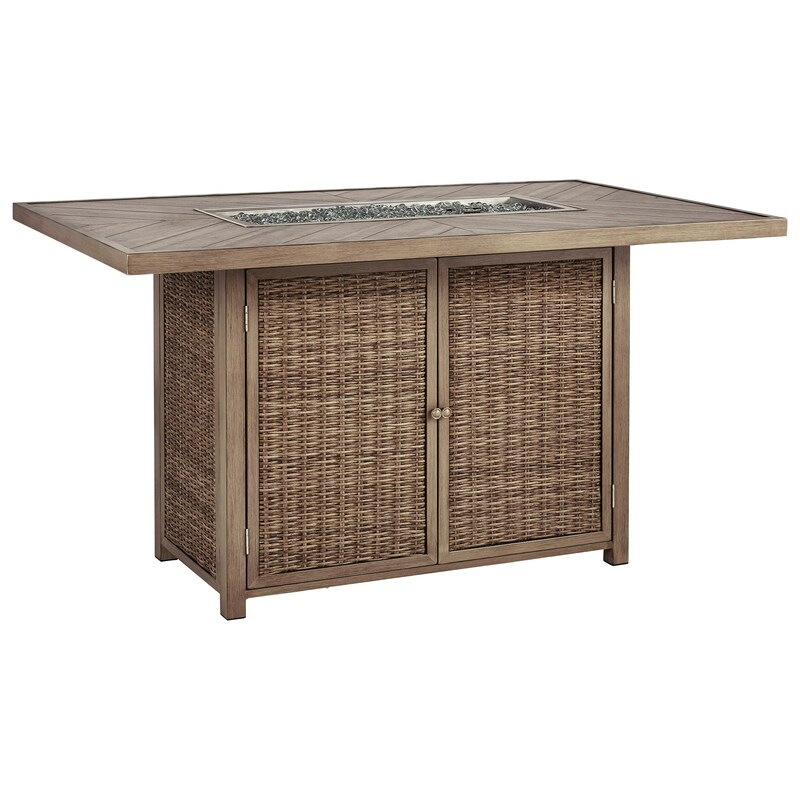 The Beachcroft Rectangular Bar Table with Fire Pit by Signature Design by Ashley at Miskelly Furniture in the Jackson, Pearl, Madison, Ridgeland, Flowood Mississippi area. Product availability may vary. Contact us for the most current availability on this product.